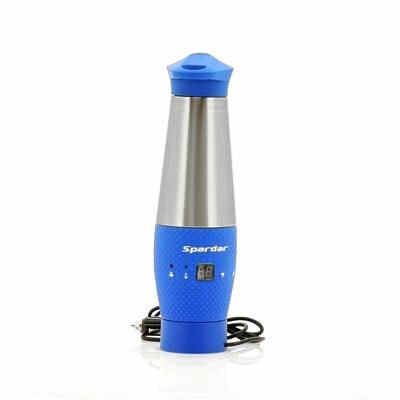 Successfully Added Heating Vacuum Flask - For Car Use, 348ml Capacity, Digital Temperature Display to your Shopping Cart. Heating Vacuum Flask is safe and practical for in Car Usage plus it has a 348ml Capacity as well as a Digital Temperature Display. 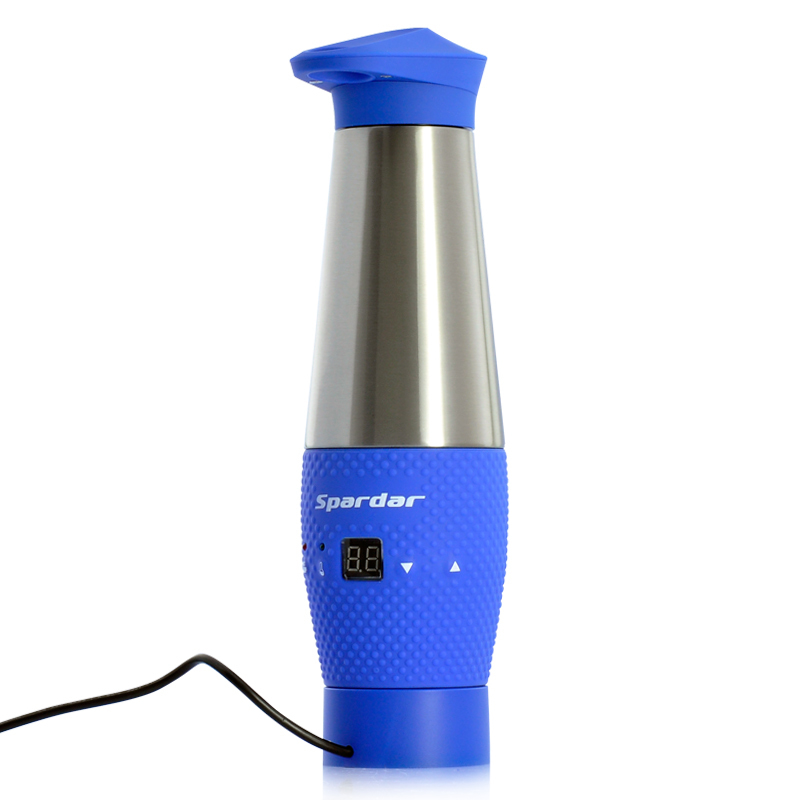 Traveling in your car no longer has to be thirsty work as this cleverly designed heating vacuum flask fits nicely into your vehicle and allows your drink to remain hot. When heating the surface of this flask is warm but never becomes hot therefore you won't burn your hand plus there is a silicone rubber that is used for safety and soft-touch feeling. Additionally, there is no leakage due to a special design that prevents the content of the flask from coming out of the hole on the top even when it is laid on its side or upside down. Using stainless steel 304 and food grade silicone, this flask is no ordinary made cup as it is designed to keep your drink warm and to reduce the cooling rate. There is even a smart control that allows you to choose the temperature you prefer via the buttons and the digital temperature display. To give this flask power just simply plug it into your car’s cigarette lighter receptacle. This Heating Vacuum Flask is now in stock and can be dispatched within one working day of ordering with a 12 month warranty. Brought to you by the leaders in wholesale electronics and solar products, Chinavasion.